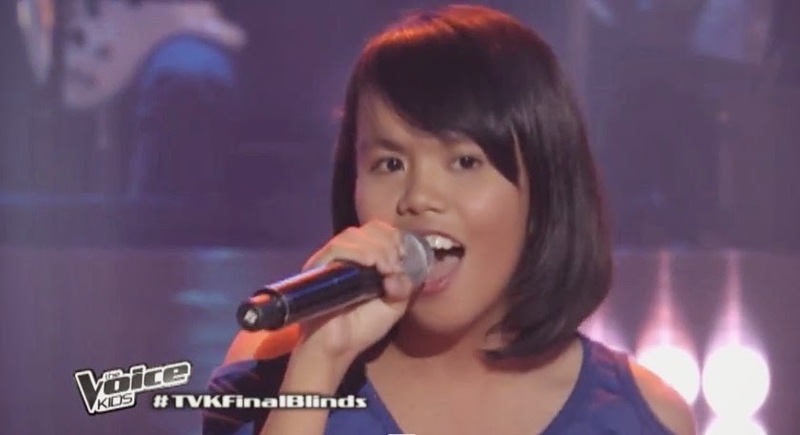 Manila, Philippines -Triscia Jumawid performed a Beyonce Knowles' hit song "Halo" during the final blind audition episode of ABS-CBN's top-rating and today's best vocal competition 'The Voice Kids' Philippines aired on Sunday, June 22, 2014. The 13-year old kid from General Santos City impressed Coach Sarah. The Sunday's episode of 'The Voice Kids' dominates online conversations with '#TVKFinalBlinds', 'Hanah Mae', 'Go Grace', 'Team Lea' and 'Grace Alade' among the trending topics.